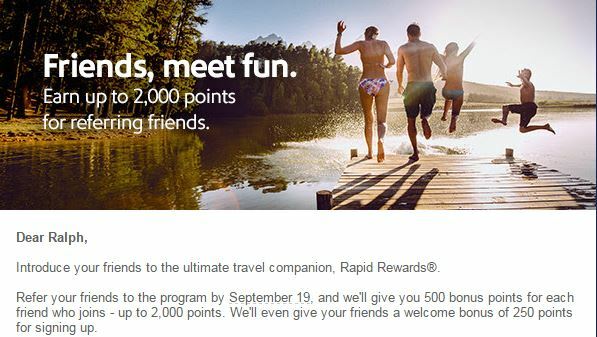 Earn 250 Points For Creating a Southwest Rapid Rewards Account + Earn Up to 2,000 Points Referring Others! 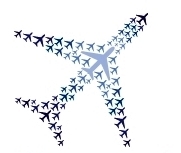 I just received an email from Southwest that states current Southwest Rapid Rewards members can earn up to 2,000 points for referring new members to Southwest Rapid Rewards, with new members earning a 250 point bonus for enrolling. This offer is valid from August 19th to September 19th. This offer is targeted though I’ve gotten emails for it on several Southwest accounts I manage. For new members to earn the 250 points, you need to signup via the email sent to you by Southwest (on behalf of the referrer) and provide the referral code in the email. For the referrer to earn 500 points, you just need them to signup via the link in the email – that’s it! No other activity is required! Each referrer can earn up to 2,000 points which means you can only refer 4 people before maxing out this offer. In case anyone is wondering, these bonus points will NOT count toward A-List, A-List Preferred, or Companion Pass qualification. This is a pretty solid offer for both parties as non-members get a small bonus for enrolling in Rapid Rewards while current members get a slightly bigger bonus. I don’t believe there is a current public signup bonus for enrolling in Southwest Rapid Rewards so I think this is the best available offer. Please leave a comment if anyone knows otherwise and I’ll update this post. If you need a referral, please send me an email at ralph@pointscentric.com or leave a comment (only I will be able to see your email address). Thank you in advance! If I max out at 4 referrals, I will then ask readers to leave their emails in the comments if they are targeted to refer others. 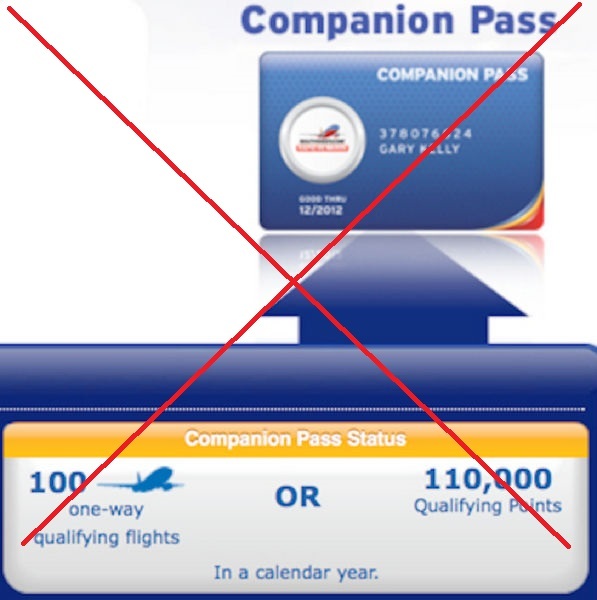 Yesterday, I received an email from Southwest with the best offer I’ve ever seen on the personal Southwest card – 50,000 points + $100 statement credit. This offer is targeted however and the link I have for the card pre-populates my information in the application. However it might be possible for anyone to get this offer by phone. I don’t know if this will work for this offer but the phone number listed on the application is 1-866-836-0917. Interestingly enough another Southwest account that I manage only got an email with a 50,000 point offer on the personal card (no statement credit) and the phone number for that application is different from the above. So applying by phone might work to get the better offer but this is a huge YMMV situation. They might ask for an invitation number in which you try to say you accidentally deleted the email but maybe they can look up the offer for you. Do not apply for the card on the phone unless the rep confirms you are applying for the better offer which includes the statement credit. 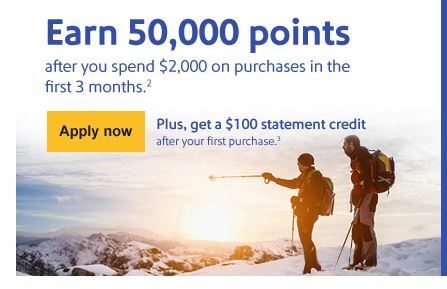 If that doesn’t work, then I would suggest scanning your email folders for an email from Southwest with the subject line “Rapid Rewards Member: 50,000 points + $100 statement credit”. Did anyone have any luck getting this offer to work?